You’ve come to the right place! We are always looking for individuals whose academic background, work experience, and job skills have prepared them for careers with a nationwide, technology-oriented company. Pegasus Aviation Services is a leading provider of maintenance, passenger, ramp, and cargo services to the global aviation industry. 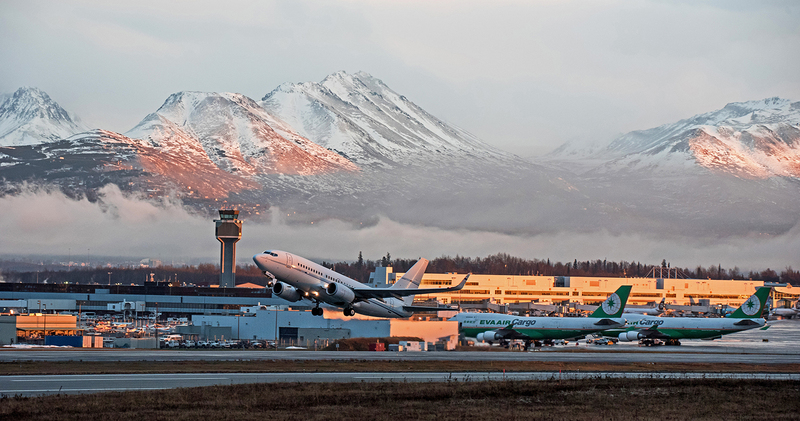 Headquartered in the crossroads of the world – Anchorage, AK – Pegasus serves air carriers from around the world, promptly and efficiently. Each year, Pegasus offers rewarding career opportunities to a host of new employees in Alaska and across California. If you are interested in working for a family-oriented company full of friendly, welcoming people, explore our jobs today! Working with major airlines, Pegasus is the leading ground handling provider at Ted Stevens Anchorage International Airport. We hire summer season employees in a variety of roles, including ramp service agents, cabin appearance agents, and passenger service agents. Find out more about the exciting and rewarding adventure of working in Alaska. Pegasus is an equal opportunity employer committed to a diverse work force and a safe and healthy work environment for all employees. Our on-line employment search and application process provides a quick, simple method to search open positions and submit your application or resume. It requires that you have an e-mail address. We are committed to Equal Employment Opportunity and providing reasonable accommodations to applicants with physical and/or mental disabilities. If you have a physical and/or mental disability and are interested in applying for employment and need special accommodations to use our website to apply for a position please contact, Recruiting Services at job-assist@akima.com or (571) 353-7053. The dedicated email and telephonic options above are reserved only for individuals with disabilities needing accessibility assistance. Please do not use the dedicated phone number above to call on the status of your job application if you do not require accessibility assistance or an accommodation. Reasonable accommodation requests are considered on a case-by-case basis. Pegasus Aviation Services, LLC is an Equal Opportunity Employer. Occasionally we work with direct placement staffing agencies to help fill requisitions. Candidate submissions from temporary or direct-placement agencies will not be considered unless we have a fully executed temporary or direct-placement agency agreement on file. Please do not forward unsolicited resumes to our jobs email, to Pegasus employees, to Pegasus managers, Pegasus Executives or other company representatives or locations. Pegasus is not responsible for any fees related to unsolicited resumes. Resumes submitted without an approved agency agreement or support requested by a member of the recruitment team will result in forfeiture of fees if that candidate is hired. All candidates must be submitted to the designated Pegasus recruiter. For temporary and direct-placement agencies or recruiters that wish to place employees with Akima or our subsidiary companies, send your company's information to StaffingAgencyInquiries@akima.com. Your information will be reviewed. When there is a need for agency assistance we will contact you directly. © Copyright 2018 Pegasus Aviation Services, LLC All rights reserved.